You know you're a DIY-er when you've already warned your family members to STAY AWAY from your blog from now until Christmas. Reason being...I want to show off all of the presents I've made for them and still want some surprise Christmas morning. For my sister and her husband, I made a hot cocoa inspired gift set. This is their first winter in Wisconsin, and from what I've heard, it gets pretty chilly there. So, I made them some personalized ceramic mugs. And a set of those scrabble coasters floating around Pinterest. I made mine totally different than the typical idea. You see, my brother-in-law is something of a math genius and when I say math genius, I mean all-around genius. I knew that if I sent him a scrabble coaster with four vertically-spelled words that didn't combine to make real words in any other direction, they would drive him crazy. So, I found a site that lists every possible 4x4 scrabble square (or "magic square") and created a replica in scrabble tiles. Check it out HERE. 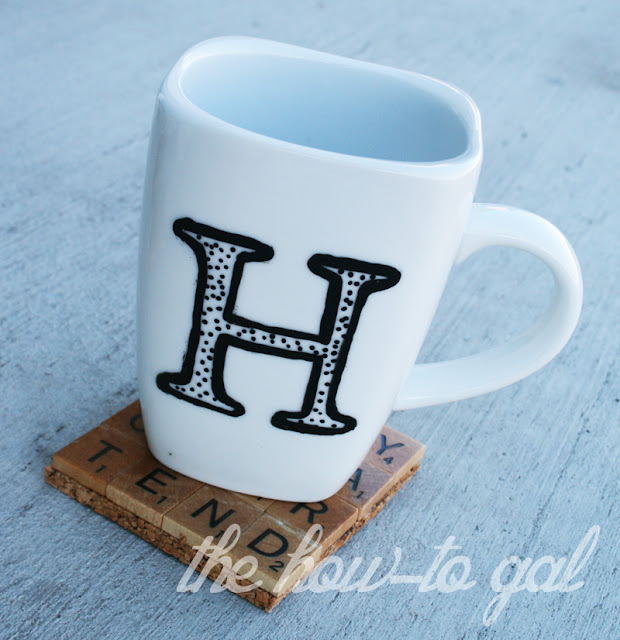 Along the way, I figured out a few things that must be mentioned if you wish to make some scrabble coasters of your own. Build your squares row by row. Don't try gluing all of the pieces together at once. Make one row of words at a time, let dry and then glue the rows together. You will end up with a much more symmetrical product. Coat with a water-resistant finish. 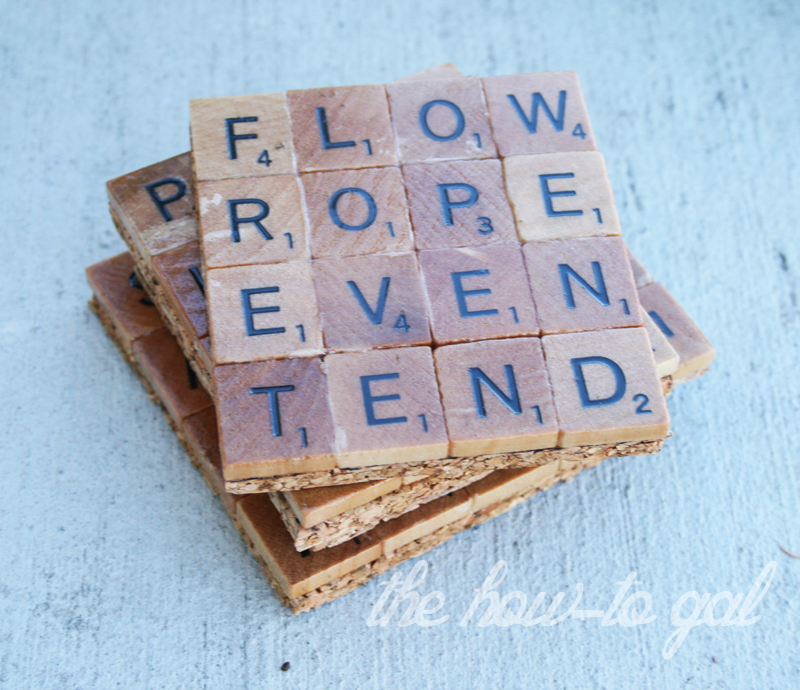 Scrabble tiles are made of wood, and because of this, getting them wet is NOT a good idea. They will expand and your square will end up a rhombus with water rings. Kind of pointless if you want to use them as a coaster, right? To prevent this, you need to coat the tiles with a water-resistant finish. I applied four coats of polyurethane to my set. The poly will protect the scrabble tiles' wood and they will be easy to clean. PLUS it makes them really shiny. Back the coasters with something substantial. At first I thought I would simply back the coasters with a fun colored felt. But when you put the tiles together, you'll notice they feel very light and insubstantial. I decided to back them with cork (I found mine at Wal-Mart in the office supplies) and the cork really gives them a more "solid" feel. I hope my sister and her husband love my hot cocoa inspired gift! 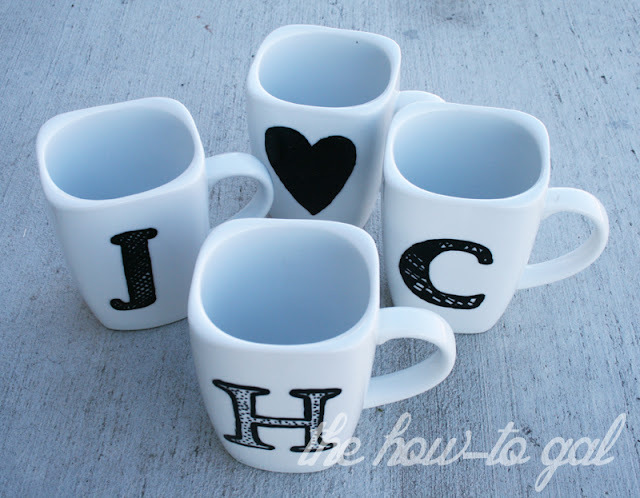 Are you planning on giving handmade gifts this year? 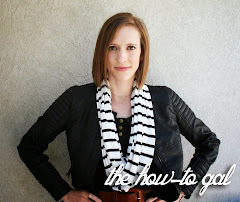 Check out my DIY Christmas Gift Guides. I've seen these around and never made them because I too would not be able to handle them saying words one way and not the other. 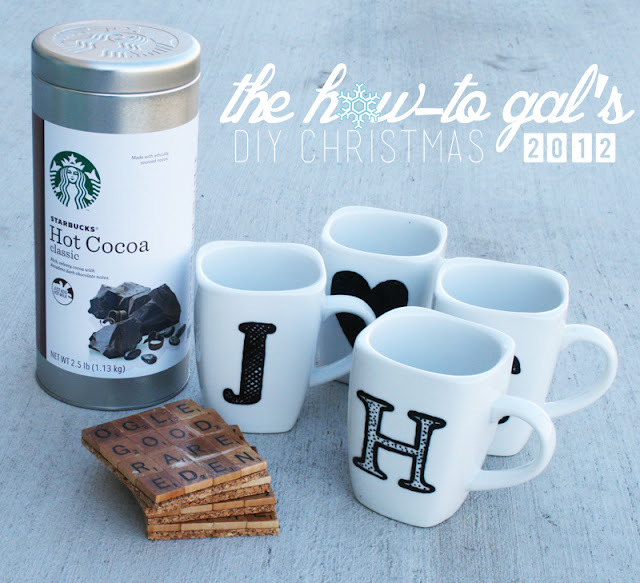 Now that I know how to do it, I'm going to make these! Thank you!